A Special occasion. These are all personal and are different for all of us. Whatever is your special occasion, Omarino Wine Park are there for you. We have the beautiful setting, the location and the food, wine and events centre for the presentations and loud music. Parking is no problem with secure off road parking and the ability to leave vehicles parked and secure over night. Twenty acres of park, vines, golf and gardens provide for a fun setting for that special occasion. 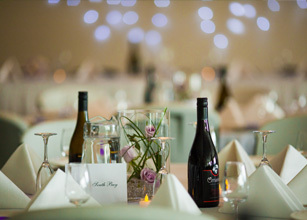 We encourage you to work with our team and set the scene for your event, be it inside or out. It is your day, your special occasion. Together we need to make it special for you. Give Eileen a call to discuss your special event.